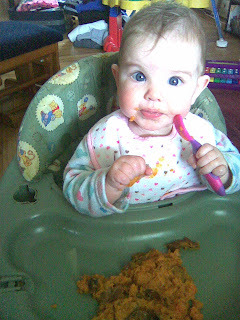 I got Juliet a whole baked potato the other day, so that she could try and eat pieces... Just like she did with the avacado and banana. 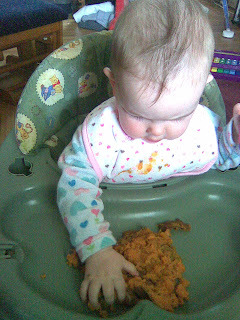 It was funny becasue she would put her hands in it, and then pull away.... it seems she didn't like the squishyness! 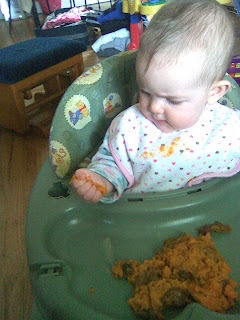 A bit weird especially seeing as she loved squishing the avacado. 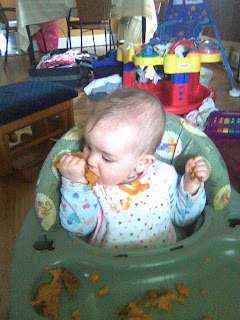 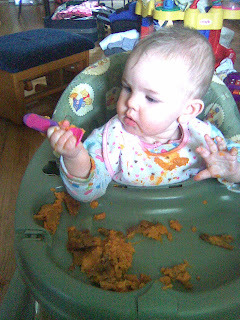 Anyway, I fed her some with a spoon, which she loved, and then she wanted to feed herself... which meant BIG messes!